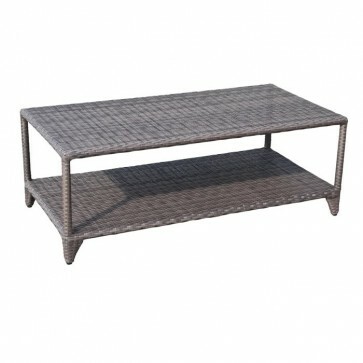 This two-tiered coffee table is a matching accessory to the Lisa Armchair and Sofa. Like all of our outdoor rattan furniture, it is crafted using quality Ecoline fibre for ease of maintenance. Simple and elegant in design, the Lisa collection will add a touch of tranquillity to your garden.